The Chikuno Cube is a natural air purifier made from an ultra-fine powder of activated bamboo charcoal and clay minerals.The activated bamboo charcoal is a form of carbon that has been processed at a very high temperature to make the cube extremely porous. Its micro-honeycomb structure helps amplify the surface area making this small cube able absorb odors in an enclosed space up to 17 square feet. Use the cube in refrigerators, bathrooms, closets or other small spaces. The cube is eco-friendly and can be used for up to one year. 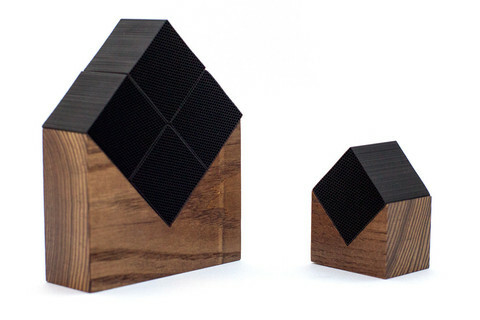 To refresh the cube, each month expose the cube to direct sunlight for six hours. This releases the absorbed odors and it is ready to reuse. Winner of the Japanese Good Design Award, 2008 Cube Size: 1.5" x 1.5" x 1.5" Available in a natural or brown wood base.